It’s Android distribution update day! Google updated the numbers for the month of August, showing Nougat and Marshmallow still on the rise, while most of the rest of the Android versions dropped. 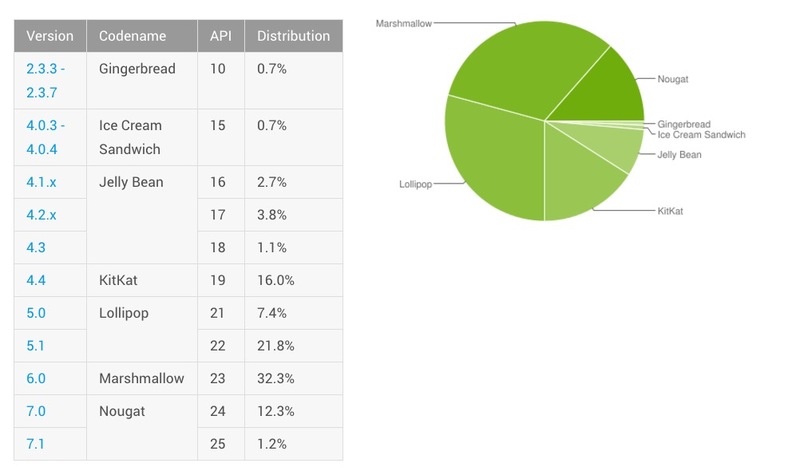 Nougat is now up to 13.5% of the Android pie and Marshmallow jumped to 32.3%. Those that declined from one month to the next include Lollipop (29.2%), KitKat (16.0%), and Jelly Bean (7.6%). Ice Cream Sandwich (0.7%) and Gingerbread (0.7%) seem OK just existing. Of course, this may be one of the last months before Android O arrives and really messes with Nougat’s progress. Damn you, Android. 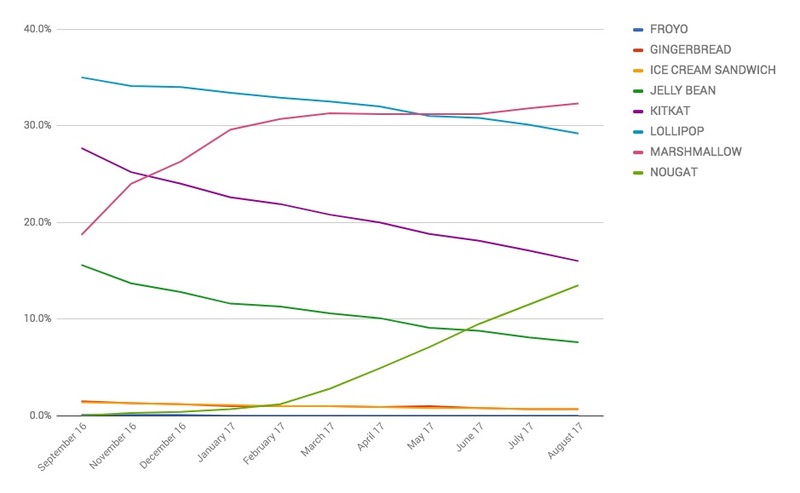 UPDATE: Because our good friend @davekover asked for it, here is the past year in a chart, so you can visually see where each version of Android is headed. Last month’s numbers can be found right here.